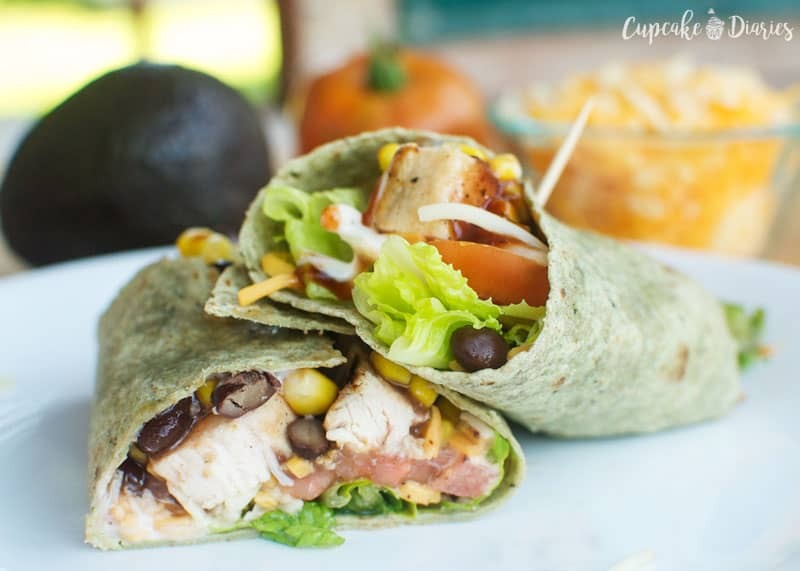 Whether you’re looking for a quick lunch or don’t want to heat up the house for dinner, BBQ Chicken Wraps are a perfectly tasty and easy option! 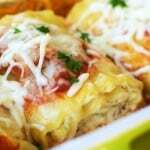 I think it seems only fitting to talk about a meal that is wrapped in a lovely shade of green, in honor of the Super Bowl champs the Green Bay Packers! (Sorry, little sister. I know how much the Steelers mean to you.) Wasn’t the game a great one? I was picturing all the parties going on out there and the smorgasbord of food at each one. Party food is the best. What were some of the featured items at your parties? 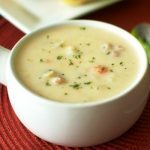 Now that I’ve brought up the sad news to all you Steelers fans once more and tears have most likely been shed, let’s talk about today’s recipe. This dish will bring some smiles. It comes from my twin sister, Amber, and her husband, Che’. (Did I mention I have a twin? She’s my best pal.) 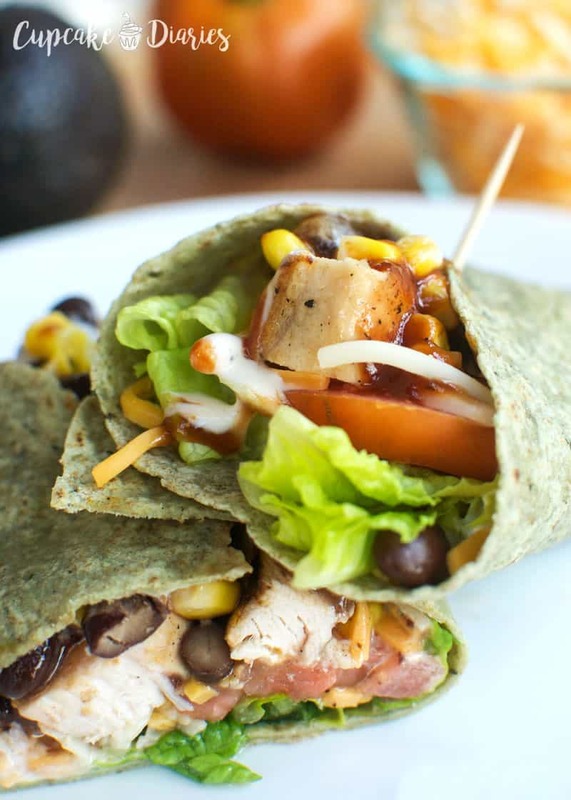 My husband and I were talking to them about quick recipes and they told us about how much they love these BBQ Chicken Wraps. 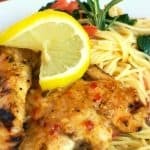 For a couple that comes home from work late some days they needed something for dinner that they could put together quickly. 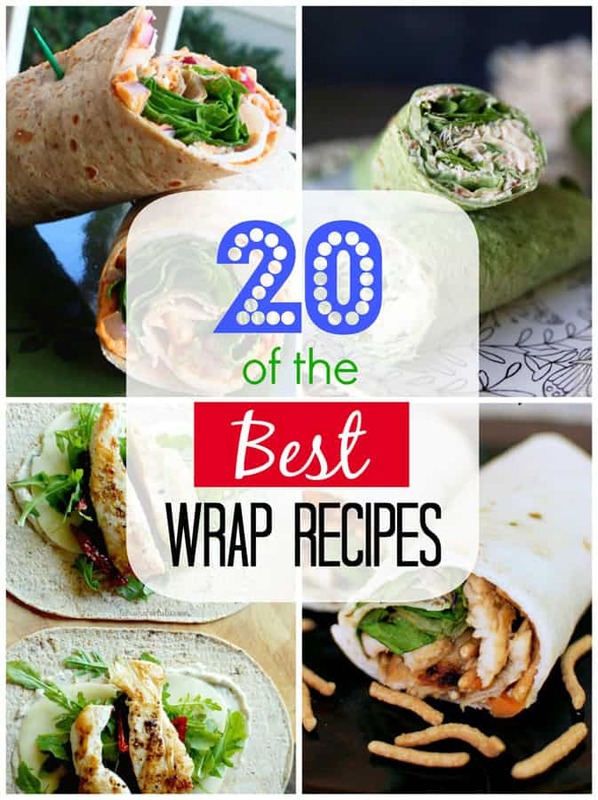 We loved the idea, and when we tried these wraps we were in heaven! They are so tasty and very filling. 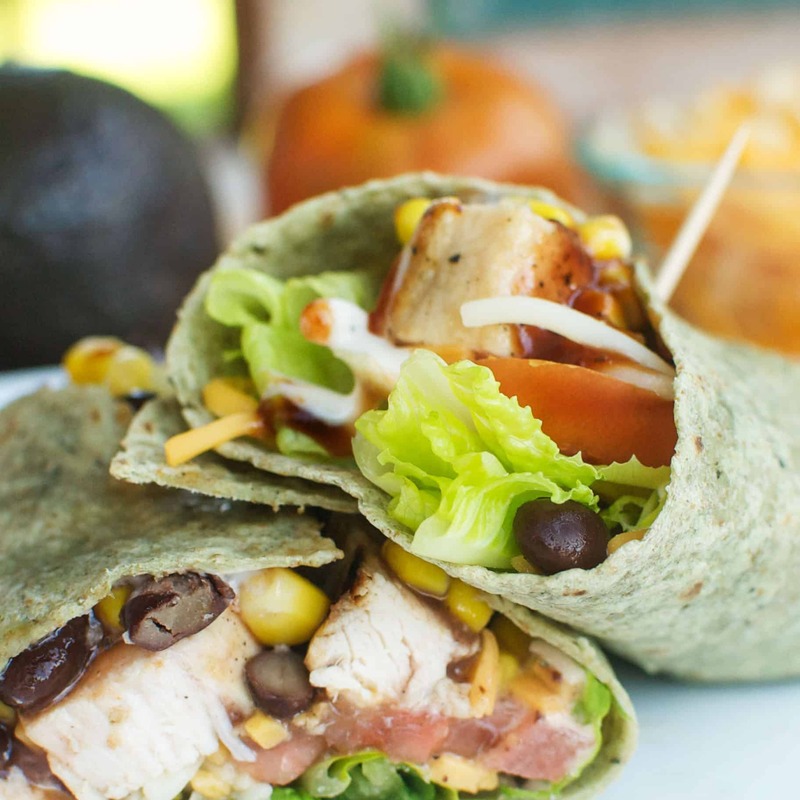 If we open the wrap up like if the above photo you can see all the ingredients in all their tasty glory. I love the flavor of this wrap and how much it tastes like something I would order at a restaurant. So many colors and flavors in this one! And it’s a great recipe if you’re counting calories. One of these wraps has 368 calories. 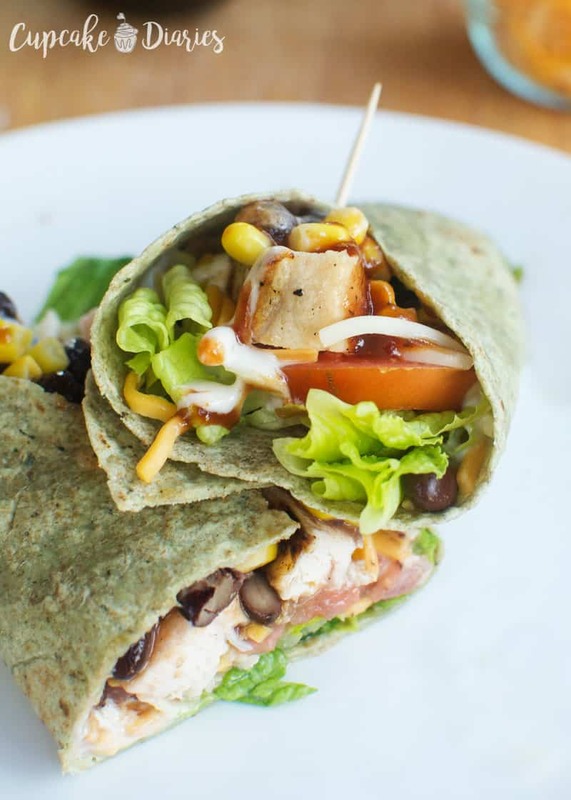 Whether you're looking for a quick lunch or don't want to heat up the house for dinner, BBQ Chicken Wraps are a perfectly tasty and easy option! 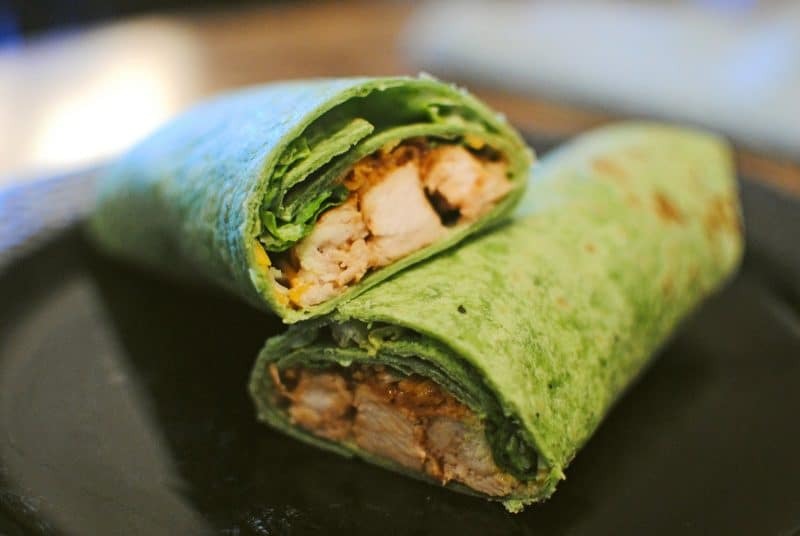 Place one spinach wrap flat on a plate. 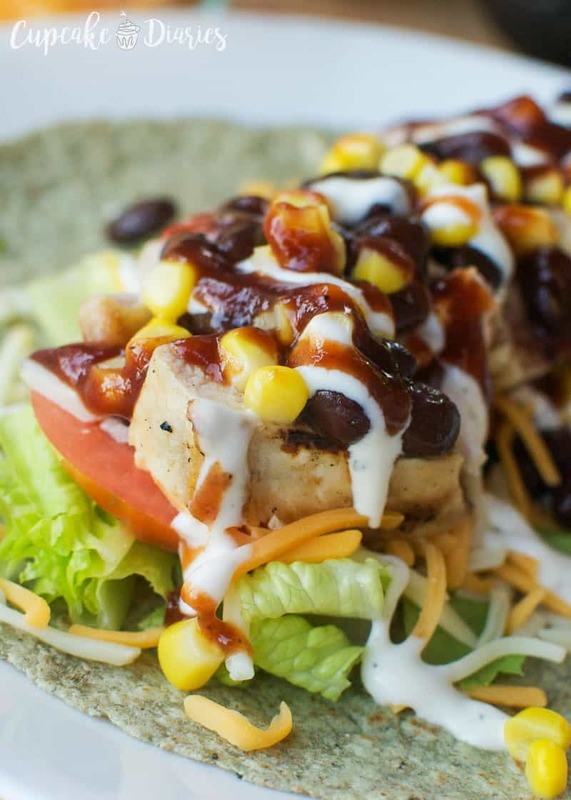 Add ranch dressing and barbecue sauce and spread over the wrap. Place lettuce down the center of the wrap. 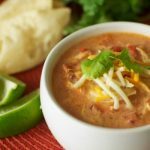 Top with chicken, tomato, corn, beans, and cheddar cheese. 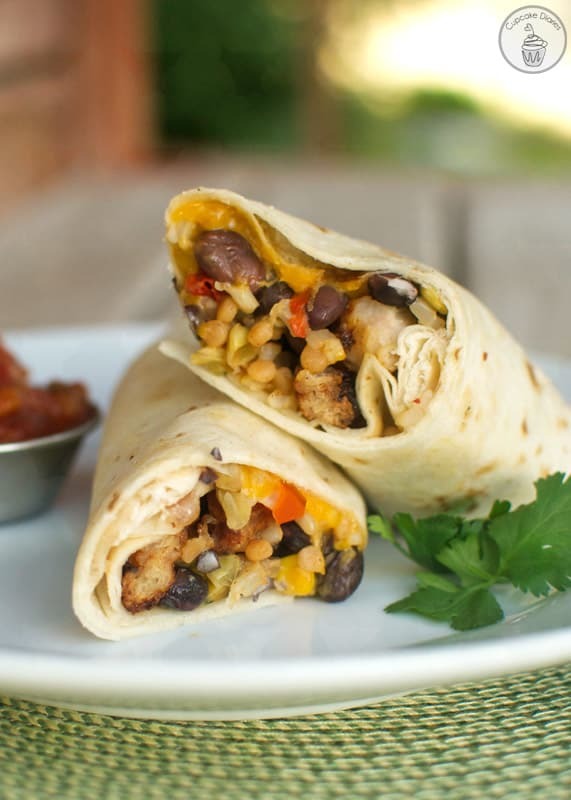 Roll up like a wrap and enjoy! If you're counting calories and want to get everything measured out just right in ounces, a food scale is your best friend! My favorite food scale is found on Amazon. 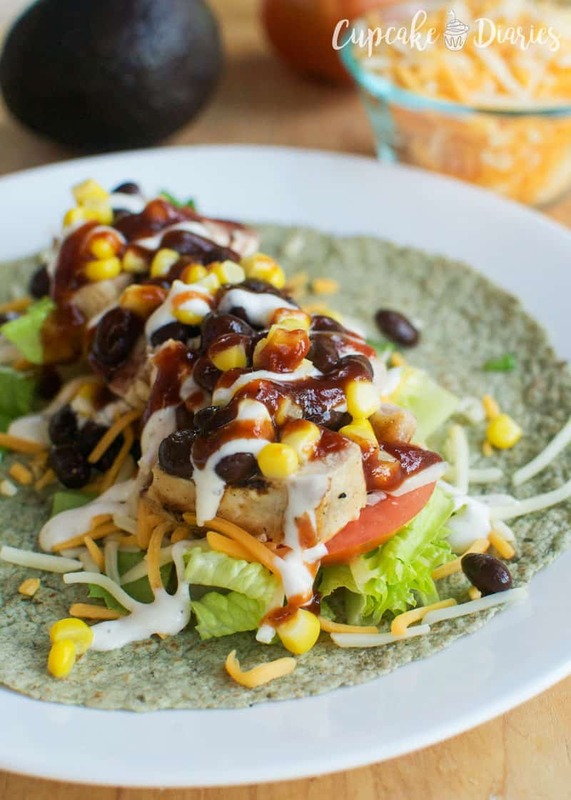 We love using frozen grilled chicken breast strips to make this recipe extra easy! You can get different brands at any grocery store. For the purpose of the photos, I put the barbecue sauce and ranch dressing over the top of the other ingredients. 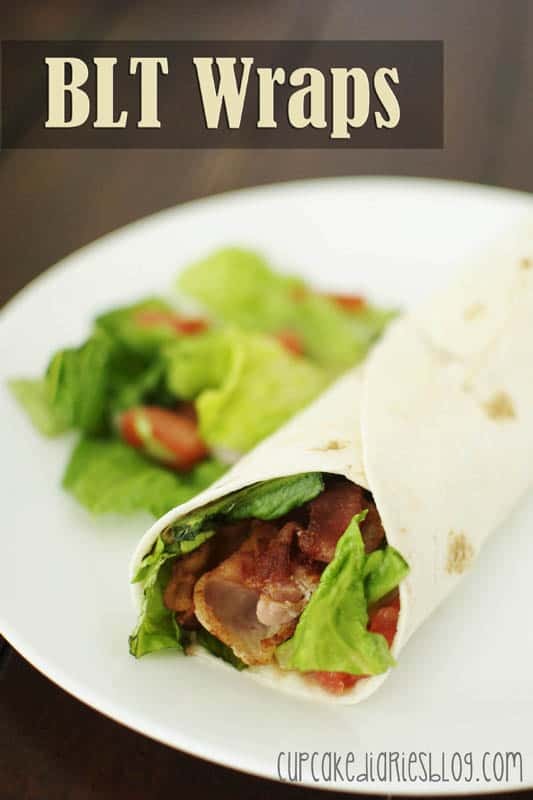 When we prepare this at home, we measure the sauce and dressing in a tablespoon and spread it over the wrap to make it easier. I hope you love this wrap as much as I do! I’ve been able to lose weight while eating this tasty meal and I can’t imagine losing the weight without being able to eat good food like this. Looking for more wrap recipes? Here are some of my favorites! Is the chicken in the freezer section? Or just refridgerated?